This tutorial explains how to connect the Xkit from Thinxtra with TagoIO. 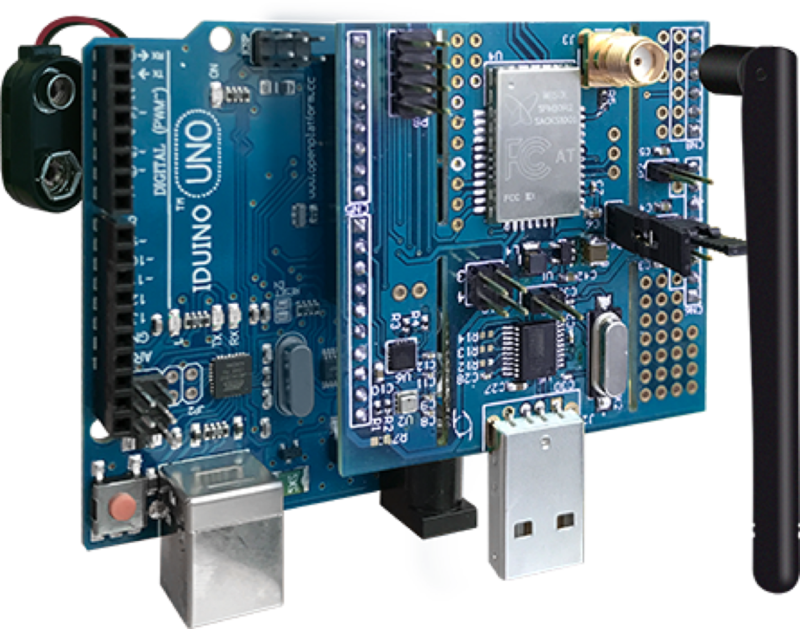 This Sigfox board can be connected to a PC, Mac, Arduino, Raspberry PI, and other platforms. Here is a diagram of Xkit board's pinout, you can click here for more details. Xkit can be programmed with a file that will send data from the sensors with a payload format as showed below. TagoIO is flexible enough to parse this payload in order to extract the variables - it is done through a script coded in the 'Payload Parser' - more can be found here. Calculations to extract temperature, pressure, photo, acceleration, are done by the parser script. Follow these steps to interface Xkit with TagoIO and start to build your own application in minutes. Follow the installation guide from Thinxtra here and prepare your Xkit to send data to the Sigfox network. 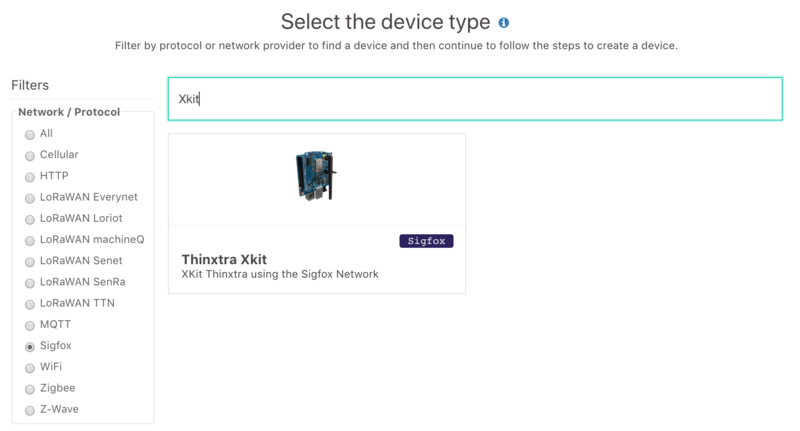 Go to Devices, click on 'Add Devices', and filter network by Sigfox to search for Thinxtra. Then, just follow the directions to integrate your Sens'it with TagoIO and start to build your own application in minutes. If you have questions about how to configure your account for Sigfox and TagoIO, click here. 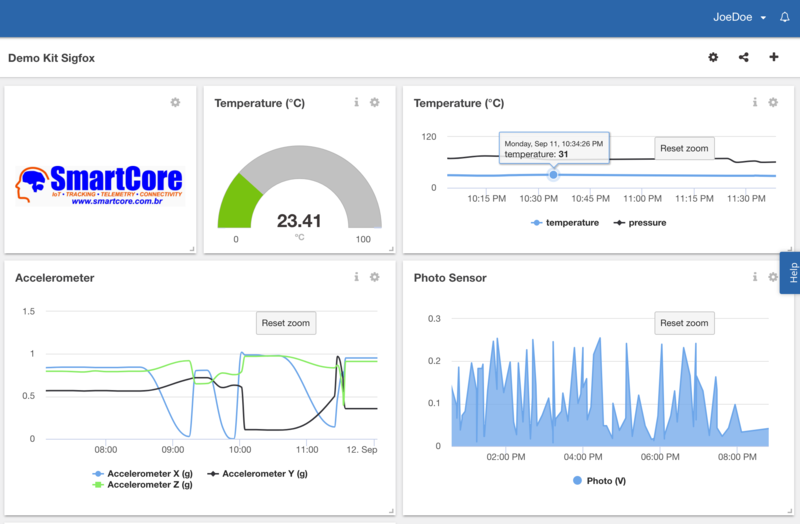 Now, click on the new dashboard created (left menu), and associate it with the device that you just added. Check with your Xkit distributor about how to register the Xkit in the Sigfox Portal. Now, just turn your Xkit board on, and wait for the data to hit your data bucket! Every time the Xkit sends data, an action will be triggered and the script will parse the data sending to the bucket, ready to be displayed by the widgets. You can start editing your dashboard as needed. You can edit the parse script created for your device that extracts variables from the payload. The complete payload documentation is here. Also, you can create notifications and more advanced scripts as needed. Information about Downlink setup can be found here. Enjoy your Thinxtra Xkit with Tago!